Lake Bluff Brewing Co has served as a community beer hall for Lake Bluff as well as a destination brewery for Chicago and beyond. In addition to producing award winning beer, the walls of the taproom have hosted artists to display their work, some as local as down the street and others from as far as the other side of the Earth. The taproom also serves as a curator for both analogue and live music for all to enjoy. All beers served on site are brewed on site. Our taplist is continually rotating based upon seasonality, ingredient availabilty, as well as the brewers' influence. The taproom features rotating artwork curated (sometimes even produced) by our staff. The range of styles that have been showcased over the years include relief printmaking, photography, abstract impressionism, watercolor, and more. The installations always feature a opening ceremony with specialty beer, and all art on the wall is always for sale. The taproom features an extensive and eclectic collection of vinyl records that spans generations as well as genres. The collection is curated and selected by the staff based upon the overall atmosphere and mood of the taproom at the time. On Tuesday's you may bring in your own record for us to spin while you enjoy a delicious beer. 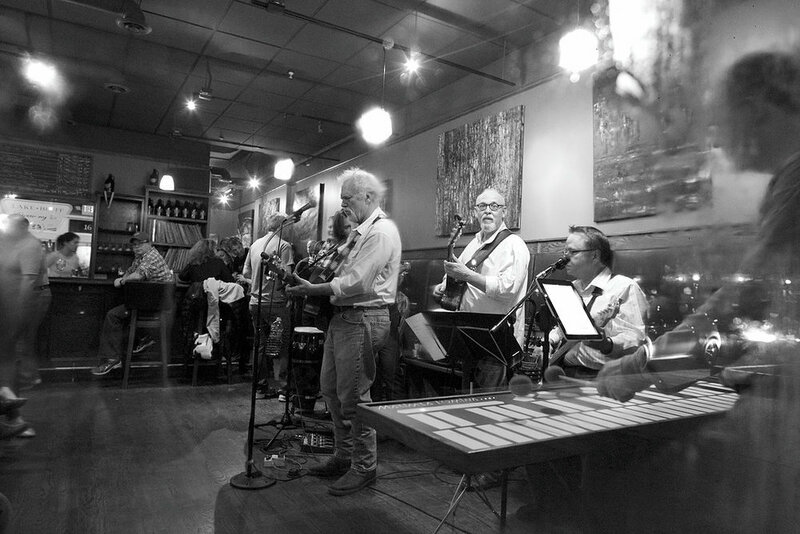 Lake Bluff Brewing Co often hosts live performances inside the taproom, which are always free to the public. Again we often rely on local talent but also import musicians on the road, or just stopping through. There is a never a cover charge for these shows, we just want you to enjoy live music. 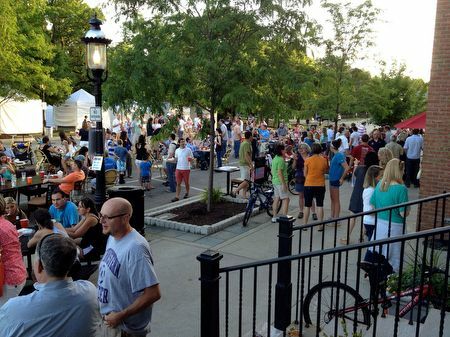 Alongside our block party affiliates, The Maevery Public House and Griffith, Grant, and Lackie Realtors, Lake Bluff Brewing Co hosts a series of streetside performances. These events always feature a special beer release, as well as unique street food offerings, activities and more. Open to the public for all to enjoy.